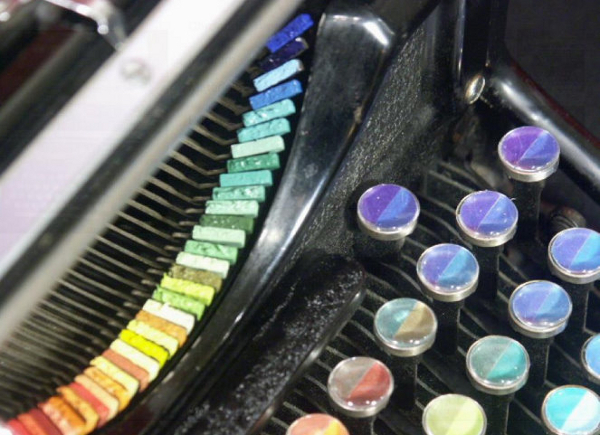 Check out this Chromatic Typewriter that paints rather than writing. Tyree Callahan, a painter, transformed a 1937 Underwood Standard typewriter in to a device that uses oil paint rather than ink to create paintings. "The idea for the Chromatic Typewriter came about one day in the studio as I was struggling along with a watercolor. 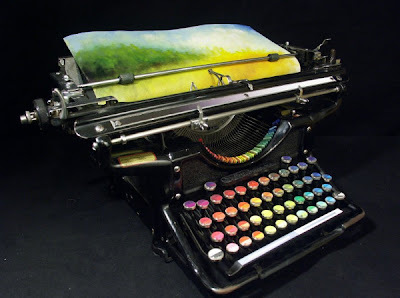 I had an old Olivetti typewriter laying around and I thought to add some text to the watercolor. 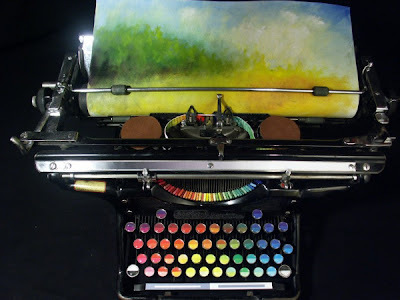 I rolled the watercolor into the carriage and started typing and that's when the inspiration struck."